Persian poetry, Translation into English, Victorian poetry, Late 19th and 20th Century, Rubaiyat of Omar Khayam, Edward Fitzgerald. 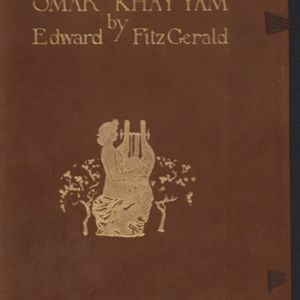 Cover page of Rubaiyat of Omar Khayam translated by Fitzgerald. Published by Routledge in 1912. Edward, Fitzgerald. Omar Khayam by Edward Fitzgerald. Routledge, 1912. 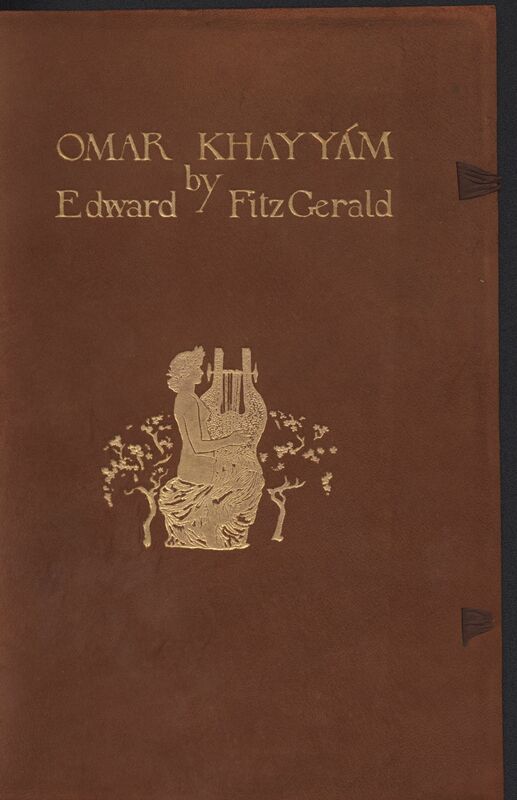 Routledge and Sons, “Cover Page of Omar Khayam by Edward Fitzgerald (1912),” UVic Libraries Omeka Classic, accessed April 21, 2019, http://omeka.library.uvic.ca/items/show/530.